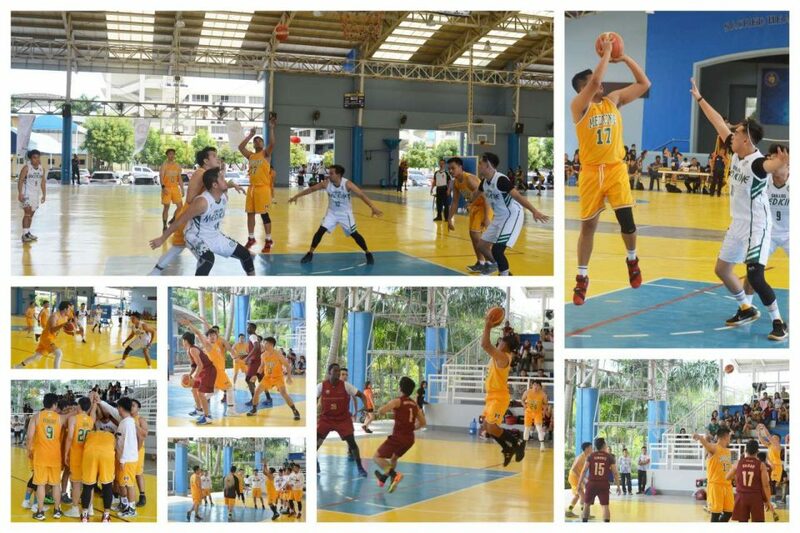 Blazing together not just to bathe the battlefield in fire but to unleash their collective strength as one team for One Medicine, One Central Visayas, the MHAM athletic team, known as MHAMDragons, beautifully displayed their skills and talents with a trademark of true sportsmanship during the MHAM-led Medlympics 2019 at Sacred Heart School-Ateneo de Cebu, Mandaue City, Cebu last January 26-27, 2019. 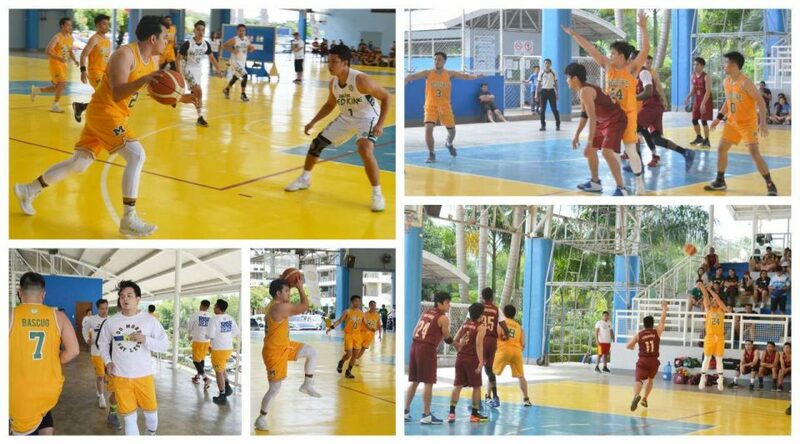 A 2-day sporting event with its theme, “TAKDO: Onward Together, One Medicine, One Central Visayas to celebrate camaraderie, sportsmanship, and unity in the light of sports”, this year’s Medlympics was participated by six (6) members schools of the Association of Philippine Medical Colleges-Student Network (APMC-SN) in Central Visayas. The MHAM athletic team, who competed with other aspiring doctors from Cebu Doctors’ University College of Medicine, SWU Phinma School of Medicine, Cebu Institute of Medicine, Gullas College of Medicine and University of Cebu School of Medicine, was proclaimed third runner up based from the official overall tally. Though winning is important in sports, the MHAMDragons showed dominance not as the overall winner but as remarkable host school and as a participating school at the same time. 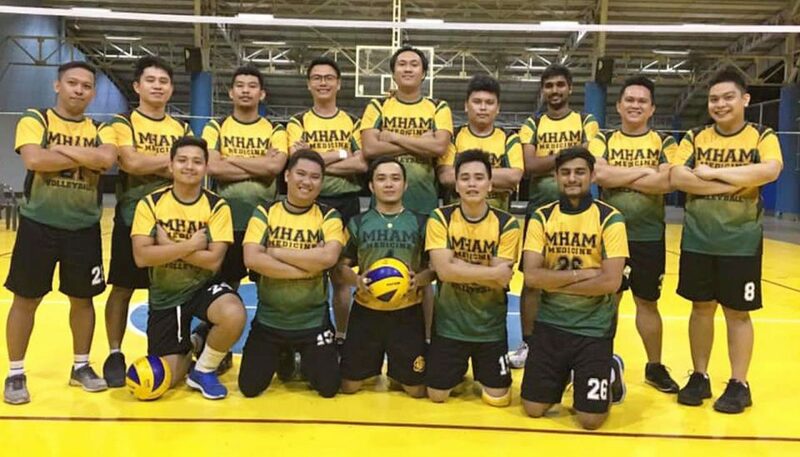 Win or lose, the MHAMDragons, along with their burning desire to compete with style excelled in passion and learning experience, enjoyed the annual tournament among medical students in the region for the love of sports. This year, they competed with the MHAM way for soccer, ultimate frisbee, dota 2, track and field, volleyball, basketball, badminton, table tennis, swimming, larong pinoy and quiz bee competition. Driven with persistence and power of endurance aside from the inspiring cheers and moral support from co-Matias participants during the tournament, the MHAM winning athletes brought home their respective awards that paid off their hard work and teamwork undeterred by grinding exams and pressing terms in medschool. One of the MHAM men athletes who will surely miss the yearly tournament next year was a basketball player and a graduating student, Keezel Nell M. At-at. 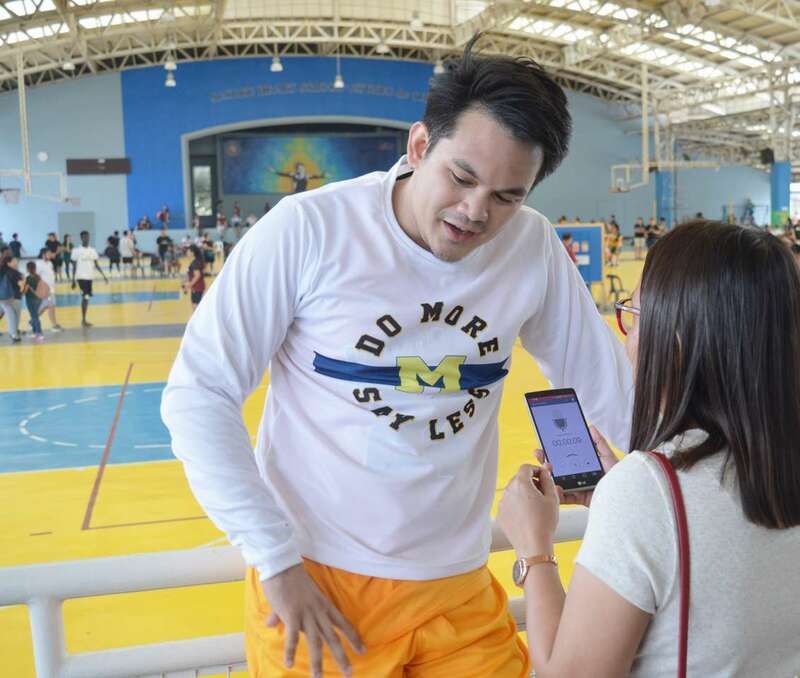 A graduate of BS in Medical Technology as his premed degree, 26-year old ‘Ken’, as he is fondly called, was one of the MHAMDragons basketball players who vied for this year’s men’s basketball championship game. Beaming with pride and honor who once again fought for the gold with jersey number 24, Ken shared his best moments in Medlympics that somehow inspired him to learn from daily experiences, to keep his motivation alive and active, and to make each day a masterpiece. “It is both an excitement and an opportunity to play with the rest of the MHAMDragons, and for me, it was my best Medlympics moment. As a medical clerk and an athlete at the same time, it is out of the ordinary to join a do-or-die situation for the win but even if we didn’t make it to become this year’s champion but still we valued the essence of being a true sportsman. I enjoyed the game and I can feel the sense of camaraderie among teams and most of all, I am so thankful to belong to a team with supportive and competent teammates who were as fierce as dragons”, Ken said in an interview. A native of Dumaguete City and a former varsity player during hs secondary years, Ken was one of the MHAMDragons who also vied for the championship game last year. 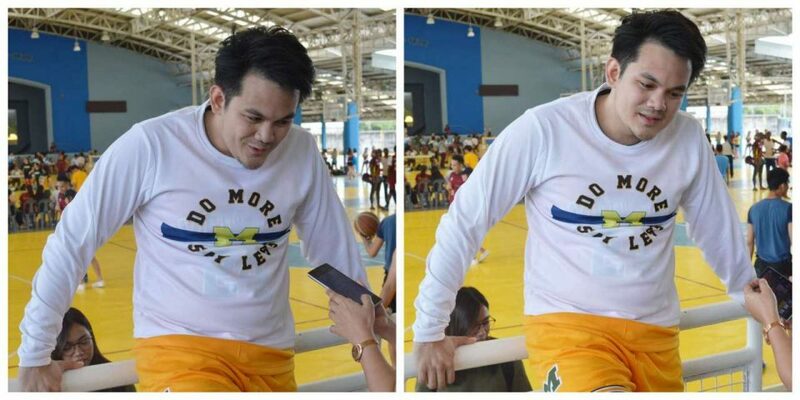 Although he had been playing for basketball prior to entering into Medicine, he started to join the MHAMDragons during his third year in medschool. 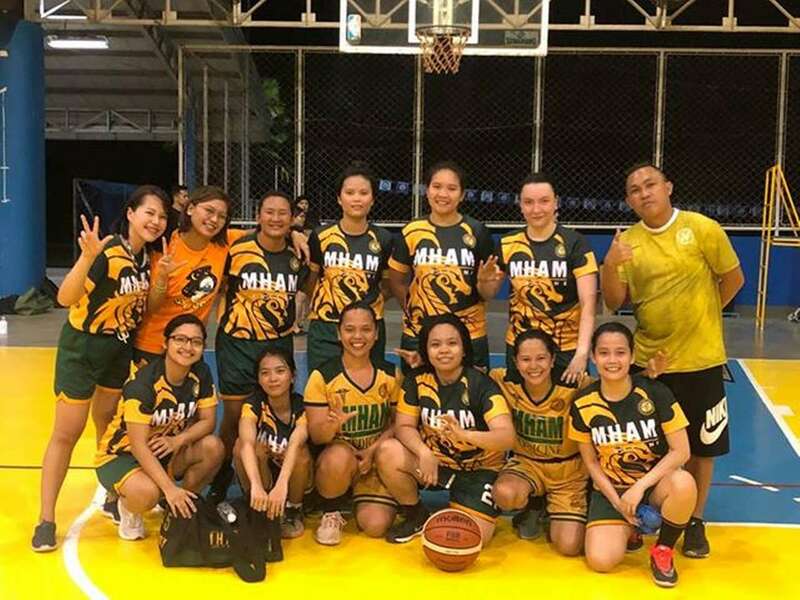 A heart-stopping to spine-tingling championship game among MHAM supporters, the MHAMDragons ended up the basketball tournament with a bang even if they miscarried to glean for the gold. Keep the fire burning, Dracarys! 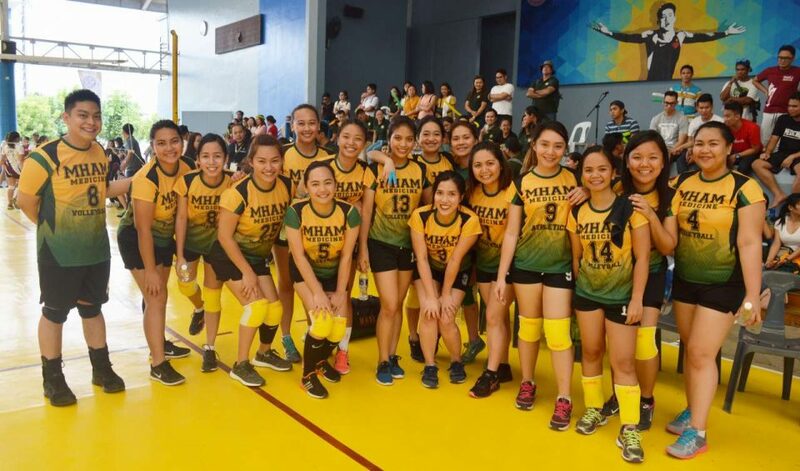 This year, the MHAMDragons were jubilant over their winning moments as champions in volleyball for men, volleyball for women, soccer and larong pinoy. MHAMarines 2019: One team. One goal. One feat. 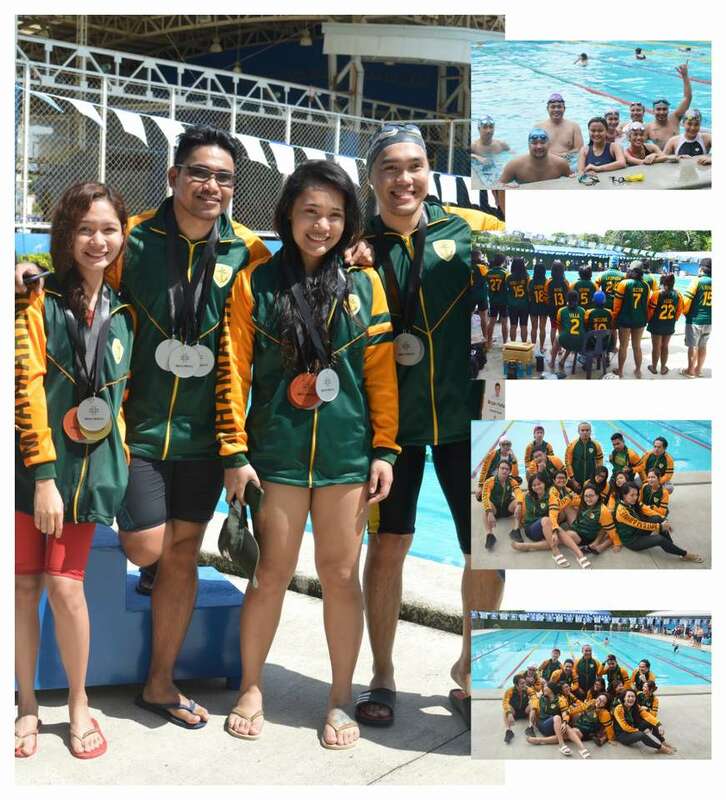 Developing the beauty of physical literacy and delivering quality sport long before she entered into the grueling life of being an aspiring doctor, Keren Eulyna Bicar of batch Nexus once again showed her prowess on the pool together with the rest of the MHAMDragons’ swimming team known as MHAMarines. A native of Iligan City who finished BS in Medical Technology prior to Medicine, 26-year old Bicar is also an active member of the official singing chorale of MHAM, known and stylized as MHArMony. Sporty aside, she was noted with her extracurricular activities excelled in leadership from being the class president to APMC-SN representative, among others. “I had to find time to train despite my busy schedule. Being a medical clerk and having other extracurricular activities, especially sports, is something you can’t juggle with easily. Vigorous training is a must, and being status previous or even pre-duty is already tiring as it is. Talking about commitment, and when you’re passionate about something, no matter how exhausted you are from duty, sleepless nights and walkathon days, you’ll always find time to be with your team not only to train, but to de-stress and have fun outside the hospital”, Bicar said in an interview. 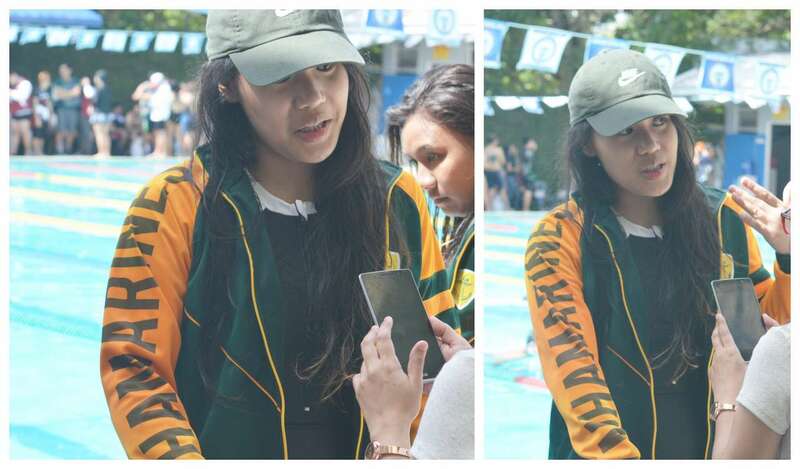 A future Matias doctor who have been swimming as recreational and sports since grade school, ‘Yna’ was the team captain of the MHAMarines from 2016 to 2018 and a flag football player at the same time. “Besides our obvious goal in becoming a doctor, we still have to take baby steps into getting there. I’ll have to finish my PGIship first, then study and prepare for the boards. Make my parents proud, make my alma mater proud as well. Hoping all of us in batch Nexus will make it. If God allows it, I’ll probably get married in between any of the years ahead of me. Settle down, have kids. You know how it is. Maybe before, during or even after residency, it depends. I’m considering going into Pediatrics or Internal Medicine. I’m also thinking about going into the Army as well. Honestly, I haven’t put much thought into which field I’ll be practicing for the rest of my life but who knows, I might end up going into General Surgery even after my strong conviction of not wanting to do any cutting specialty!”, she added. 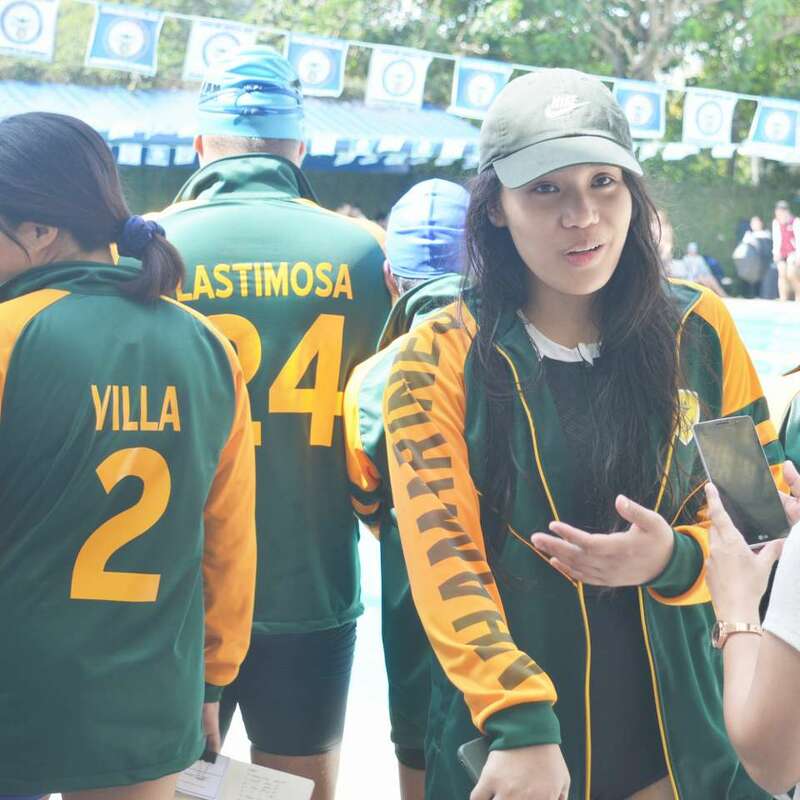 Unlike other schools who are being sponsored for the swimming competion, Bicar could not contain her gratitude for being blessed and fortunate in everything especially from the support of the Student Council this year and the school administration. Inspired from the high school musical ‘we’re all in this together’ song, she also cited that coming together as a team with full support is worth competing for. “This year is my last. Just being a part of it right now, I am already catching the ‘feels’ of separation anxiety. You know the feeling of being a part of something? Something big, no matter the outcome of your game, win or lose, you’re all in it together? It’s something I won’t get to experience once I’m out of the academe. I probably will but in a different setting”, she concluded. Propelled to grow with her daily experiences in life and to look for the reason behind it, Bicar’s last draw in the Medlympics swimming competition ended with a splash of success as she and the rest of the team reaped the harvest of their labor when they received their medals during the awarding ceremony. 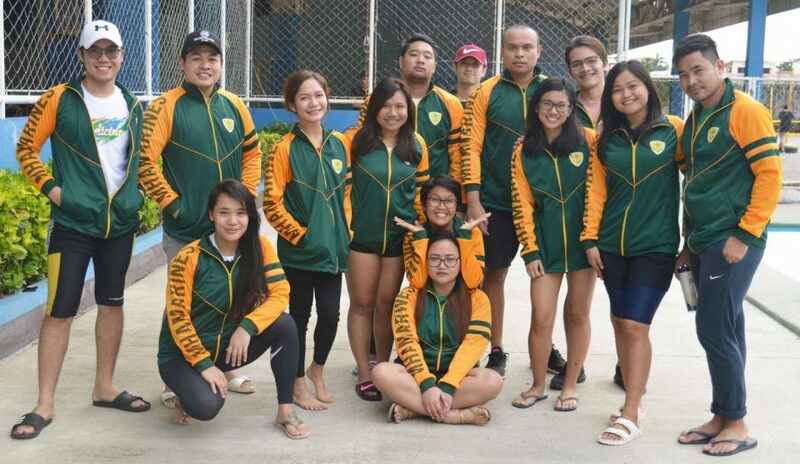 Remarkably noted as an additional support, this year, the MHAMarines were just fortunate to have some members who are tenants of Horizons 101 residential condo where its twenty five meter outdoor swimming pool became their aquatic facility for team training. 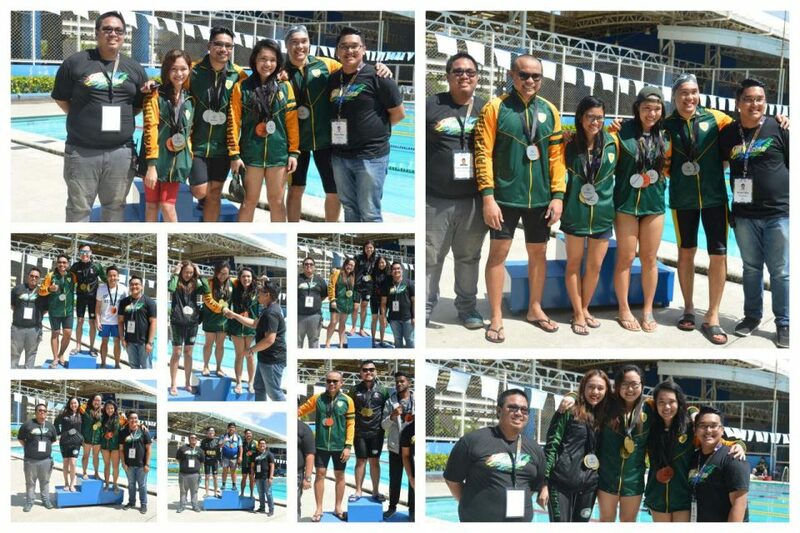 Despite the fact that many of them were beginners, the MHAM swimming team swept the individual and group laurels in the swimming competition and was proclaimed as the first runner up this year with the hope to improve their skills and swimming techniques for next Medlympics season. Spearheaded by the estimable effort and leadership of the MHAM student leaders and organizing teams, this year’s Medlympics concluded with its first time firework display right after the awarding and closing ceremonies that certainly turned out a celebration of camaraderie, sportsmanship and unity in the light of sports.